Purity: Greater than 95% as determined by SDS-PAGE and HPLC. 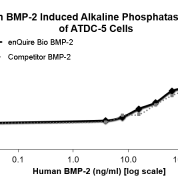 General Description of Recombinant Human BMP-2 Protein. 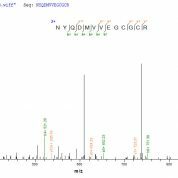 Host: QP865 protein expressed in E. coli. Protein Construction: A DNA sequence encoding the Human BMP-2, was expressed in the hosts and tags indicated. Please select your host/tag option, above. Application Notes: Please contact us for application specific information for QP865. Bioactivity Data: Equivalent or superior bioactivity to competitors. Data available upon request. 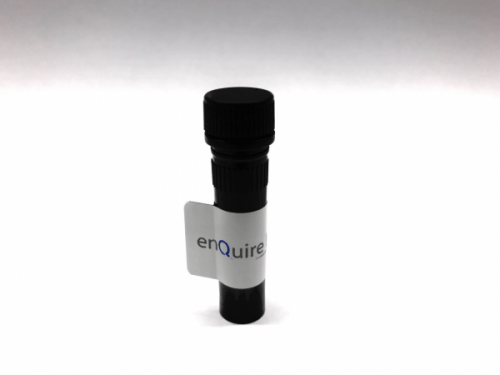 The ED50 as determined by inducing alkaline phosphatase production of murine ATDC5 cells is less than 200 ng/ml, corresponding to a specific activity of > 5.0 Ã 103 IU/mg. Concentration of Human BMP-2 Protein: Lyophilized. Concentration determined by reconstitution volume. Endotoxin Levels: Less than 1.0 EU/ug as determined by LAL method.